Six weeks ago, I wrote a post on utilizing a growth driven design approach to manage your website. The gist of growth driven design is that it enables you to take an iterative and agile approach to website development and improvements. In that post, I highlighted how we’ve been able to make big revisions in the structure, layout and messaging of our website without having to reengage in a web development process. Today I’d like to share the story behind our latest iteration and highlight an important emerging trend in utilizing personalization throughout a company website. Imagine has gone through some meaningful evolution in the last three years as we’ve continued our journey from a sales advisory firm to a lead generation and sales acceleration firm. It no longer communicated the impact and results that we’re focused on. It was too “head-focused,” rather than “heart-focused.” We wanted to communicate why someone should work with us with more punch. As we’ve gained more knowledge about our personas, it became clearer that this didn’t register as a top of mind issue (and it was difficult to orient to our different primary personas). While the message was certainly not harming us in any way, we committed to finding a way to more quickly and powerfully communicate the why of working with Imagine. So for the last couple of months, I’ve been working with Stacy (our marketing manager) to figure out how we could make our message simpler, stronger and more personalized. This was a fun (and frustrating) exercise as we put our clients through this process regularly (and I have to admit that it’s a lot easier when we put clients through the process). Our biggest challenge was that we couldn’t use any of the easy paths. For example, we couldn’t use a message like “Making lead generation easy.” While we certainly make it easier, there’s absolutely nothing easy about the process. We also didn’t want to use variations like “Need more leads? Need more sales?” These approaches don’t work because they appeal to companies that are struggling. We work with strong companies who want to be stronger. So while they certainly have problems, our best customers have what we call opportunity problems rather than trouble problems. We went through multiple iterations of the process, the vast majority of which were…how should I say this…well, they were crap. This was a good place for us, because it’s here where many organizations (and even our clients) can get really frustrated and simply feel like the effort just isn’t worth the outcome. I certainly empathized with that feeling. We were not addressing an acute pain point. After all, our web traffic is up more than 200% over the last year and conversions are up by more than 400%. More than once I thought about putting this exercise on the back burner, but we knew that our ability to better communicate our why would allow us to capture an even higher percentage of traffic and it would also help us with other aspects of our process as well. So the fact that we didn’t feel like we were making progress was actually a mirage. In the famous words of Thomas Edison, we were merely succeeding in finding messages that didn’t work. But with each message that didn’t work, we were also getting closer to our next milestone. 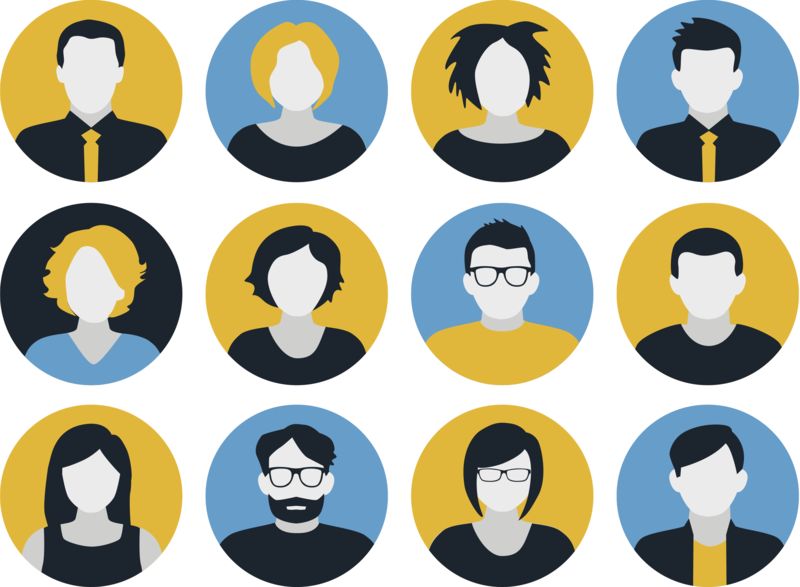 Who are our primary personas? What are their biggest issues? How can we most powerfully impact them? We have three primary personas. Here’s what we came up with. Eric owns a successful business that has grown to a crucial inflection point. He’s often in “no man’s land” and the strategies that worked to get him where he is aren’t getting him where he wants to go. Eric is sales-oriented, but worries more about sustaining his growth, than just what’s going to happen in the next year and he worries about the value of his business as much as he worries about the profit on a year-to-year basis. How do we impact Eric? 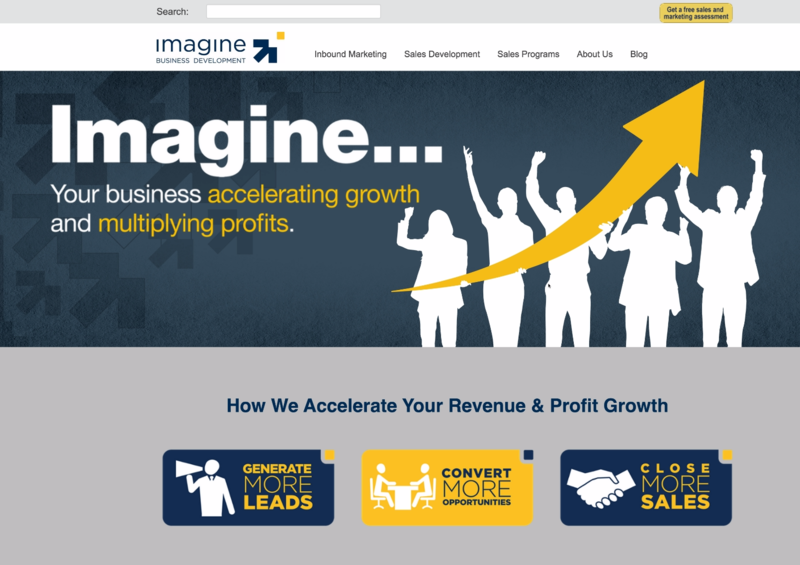 Imagine… Your business accelerating growth and multiplying profits. Morgan is a marketing professional who is responsible, in a variety of ways, for moving her company’s marketing efforts forward. She’s often frustrated because while she understands the importance and value of an effective marketing effort, she’s not getting the attention or resources to drive the necessary actions. Her company doesn’t look at the world through the demand generation/revenue generation prism, but rather (intentionally or not) views marketing and sales through a silo. Morgan understands the value of strategies like inbound marketing, but needs to get others on board. How can we impact Morgan? 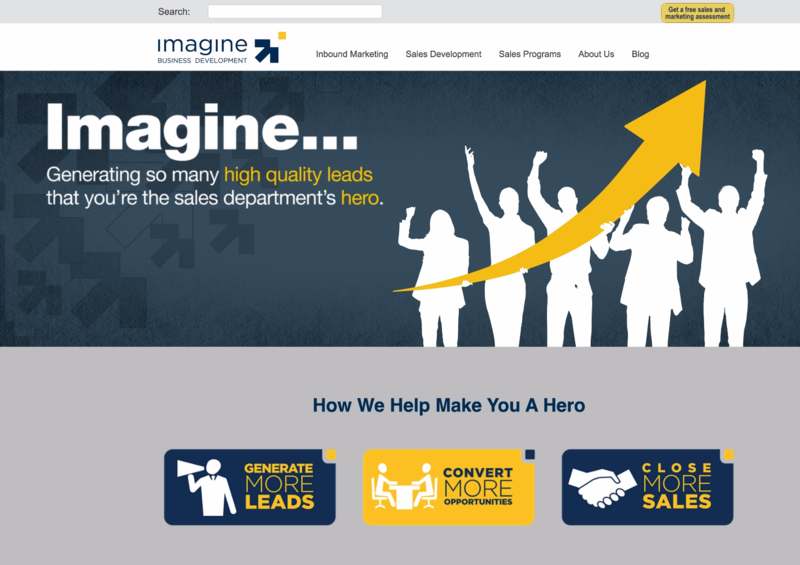 Imagine…Generating so many high quality leads that you’re the sales department’s hero. Victor leads the sales team, and often has responsibility for marketing as well. Victor is steeped in sales. His biggest issue is hitting the number…consistently and predictably. Victor finds that he’s competing in bigger and tougher markets. He’s got a good sales team, but they’re pulled in a lot of directions and are not a team of superstars. Victor finds that he has to do more with less. Every year he’s called on to hit a bigger number with no additional resources to use. How do we impact Victor? Imagine…Every member of your sales team hitting their number and with ease. As you see from the screen shots, we are able to customize what each persona sees on the website. From the hero image, positioning statement, headlines and even the calls-to-action (which you don’t see in these screen shots). The ability to align our words and content with the issues and approach that our personas take can have a tremendous impact on conversion rates all the way through the funnel and sales process. Of course, we don’t always know who is visiting our website. What we do know is that the visitors we care about (from a revenue and demand gen perspective) fit one of the above personas and have a growth mindset. How can we impact them? 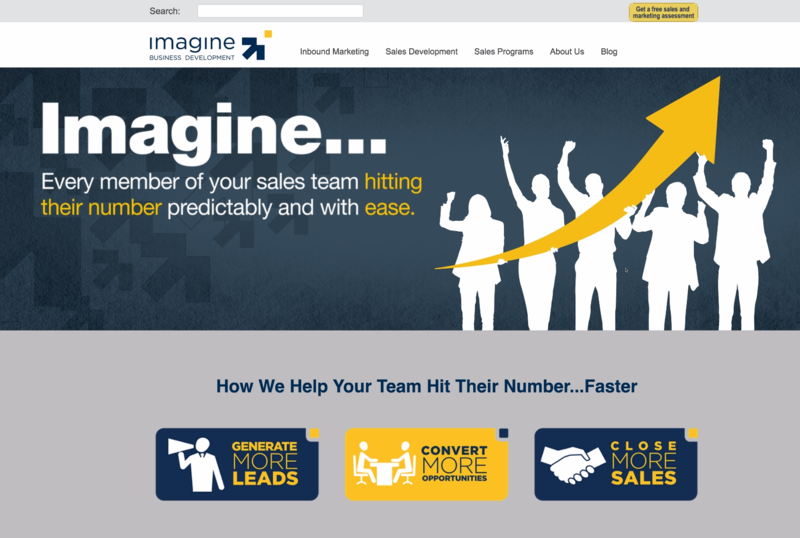 Imagine…Generating more quality leads, converting more opportunities and closing more deals. While I’m certain we’ll be adjusting the message (trust me, we’re closely watching the data and will be testing many things), we know that we are communicating our why far more clearly. We also know that we’ve improved the look and feel of the site which should have a positive impact on engagement and conversion. By taking the growth driven design approach, we’ve implemented this change even though it’s not complete. In the process of this exercise, we realized that while we have content that highlights what we do, we have not created the content that’s approaches what we do from our persona’s perspective. We’re already working on that, and expect the rollout of that to happen over the next 30 days. What’s great about this approach though is that we don’t have to wait for everything to be done to gain the benefit of improvements.